An IDF recruit was killed Thursday night when a bus collided with a group of people standing on the side of a highway in the southern kibbutz of Shomria, the IDF said. The recruit was named Friday morning as Ron Eliyahu Oved, z”l, of Palmachim. The levayah for the 18-year-old is set for Friday. Five other recruits were among the more than 20 injured in the accident. Military police have joined the Israel Police in investigating the accident. Overnight Thursday, IDF soldiers seized weapons that were to be used in terror attacks. Soldiers, working with police, discovered weapons in several Arab villages in the village of Kfar Sa’ir, near Gush Etzion. Among the weapons was an M-16 rifle. The owner of the house was arrested and questioned on what the weapons were doing there. 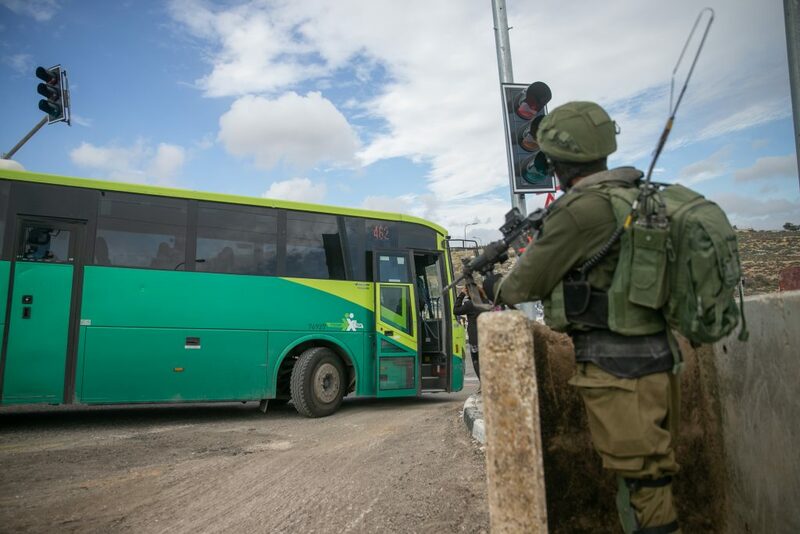 Overnight Thursday, security officials said they arrested seven wanted security suspects in other areas in Yehudah and Shomron. The suspects were wanted for participating in rioting and throwing stones and firebombs that endangered Israeli civilians and IDF soldiers. Several of the suspects were also charged with belonging to Hamas. All were being questioned on their activities by security forces.